Young and mature eastern white pine trees; photo by Nicholas A. Tonelli on Flickr (use permitted with attribution). 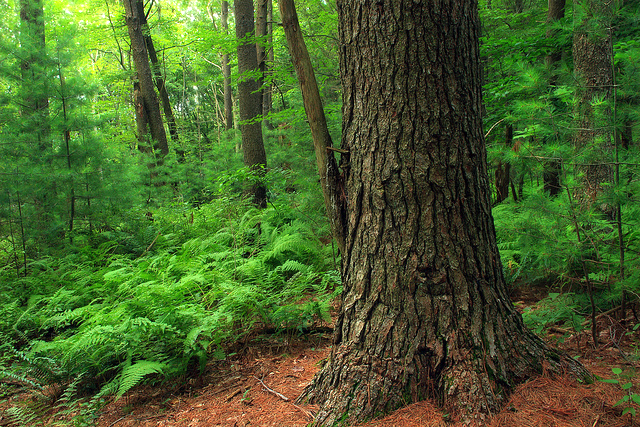 White pine was the focal point of Michigan's lumber industry in pioneer days​. From the 1860's to the late 1890's, Michigan led the nation in lumber production (Michigan claims to be the home of the legendary Paul Bunyan; but of course, so does Minnesota). 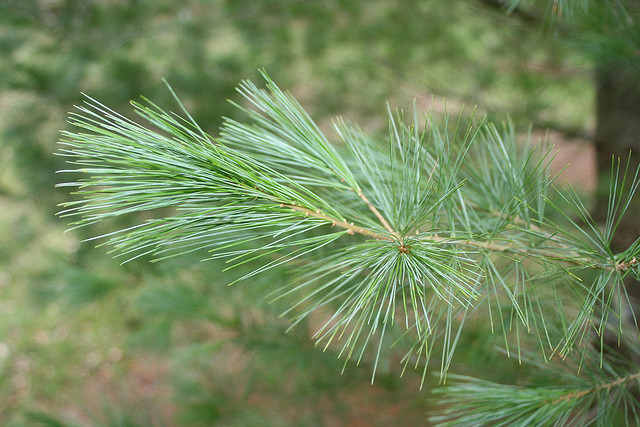 Eastern white pine needles (Pinus strobus); photo by S. Rae on Flickr (use permitted with attribution). 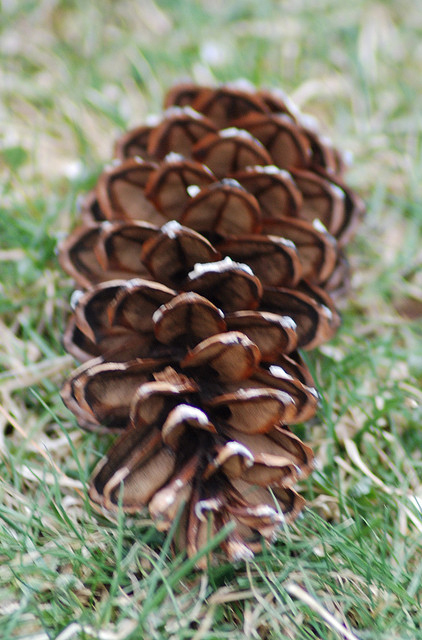 Eastern white pine cone (Pinus strobus); photo by Bob MacInnes on Flickr (use permitted with attribution).